This is the most emotional episodes we had to watch. We have not one, but two main character deaths in this episode. Oh and some stuff happens in Woodbury with Michonne and Andrea. 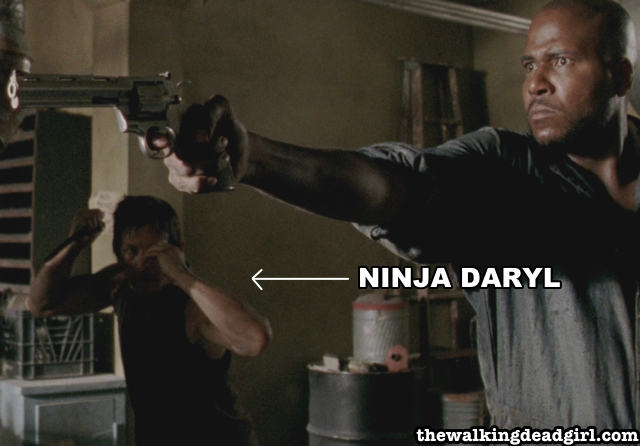 Ninja Daryl is ready for action to save Rick.